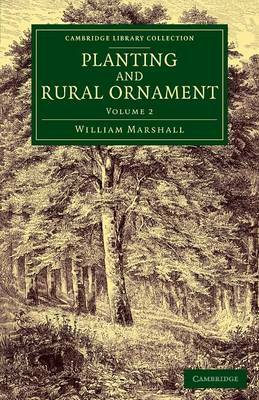 William Marshall (1745-1818), an experienced farmer and land agent, published this work in 1795, and early in 1796 produced a second edition (reissued here), 'with large additions'. The two-volume work was intended as a practical guide for the owners or managers of large estates on how to establish and maintain timber plantations, both for their financial value and also as important decorative elements in the landscaping of the surroundings of the owner's house. The work covers the practical issues of planting, propagating and transplanting, and discusses the choice of trees for different commercial purposes, and the planning and maintenance of hedgerows, as well as ornamental buildings. Volume 2 begins with an account of the Linnaean system of plant classification and its sexual basis, and supplies both an alphabetical list of trees and shrubs in their Latin Linnaean classes, and an index of plants under their English names.